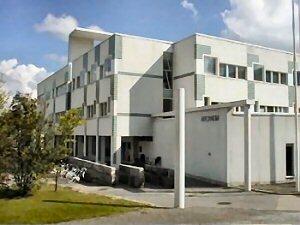 The conference and all workshops take place in the Calonia and Arcanum buildings of the university. 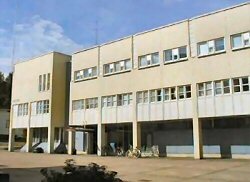 Lunches will be served in the nearby Educarium building. The conference registration desk is in Arcanum. The closest bus stop is on the street Hämeenkatu, approx. 600 meters from the conference site. It can be reached by local busses 4, 6, 28, 40, 50, 51, 53, 54, 55, 56, 110 and 320; all leaving from the market square. Make sure the bus goes in the direction of the university. The ticket (2.50 EUR) can be paid to the driver. Local transportation: In Turku, local bus number 1 leaves from the airport every 20-30 minutes and drives to the market square. The bus stop is in front of Sokos Hotel Hamburger Börs in the market square. 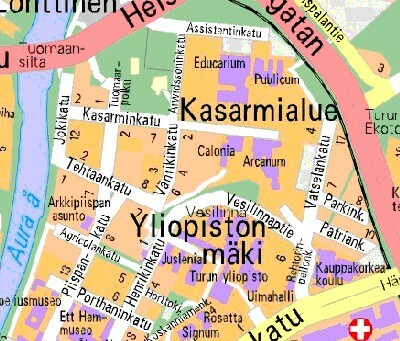 The timetables can be found here (in Finnish; lentoasema = airport, kauppatori = market square).